 Dade Christian School is a ministry of NTBC and exists to challenge students to become well-balanced, Christ-like persons by educating in the mental, physical, social, and spiritual realms. The educational philosophy of Dade Christian School is based on the Bible and its unifying principles are integrated into our academic program. The faculty and staff are composed entirely of Christian men and women. We believe that God is real. We also believe that there is objective truth that can be discovered through careful and thoughtful examination of the world in which we live. We believe that students can be taught and equipped to think clearly, that all students are capable of learning, and that the interest of the students in the subject is an important factor in their ability to learn. Each member of the faculty at Dade Christian School is committed to the moral training and character development of each student. Our desire is for each student to develop a world and life view founded on biblical, moral and ethical truth that is demonstrated through godly character and choices. Please visit NTBCFL.org for further information on the ministriy’s Statement of Faith and current bylaws. 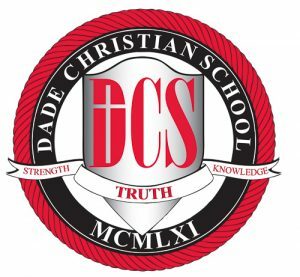 Dade Christian School is committed to the education, growth and development of each student. There are many opportunities for parental involvement at Dade Christian. The purpose of the alumni relations office is to connect alumni to the school and eachother. The DCS leadership team, through their character set an example for faculty and students. DCS is currently accepting applications/resumes for all subjects. In case you run into any questions, check out FAQ information. @2017 Dade Christian School. All Rights Reserved.